"Until you go to Kentucky and with your own eyes behold the Kentucky Derby, you ain't never been nowhere and you ain't never seen nothin'!" This special 25th Anniversary edition adds new photography and more fun facts and information to the hundreds of timeless Derby recipes and entertaining tips that have made this cookbook a bestseller for a quarter century. 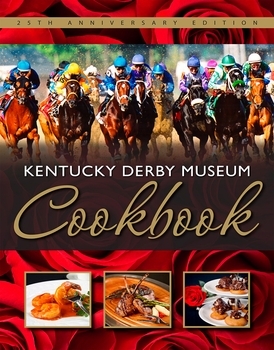 Proceeds from the sale of this book will support the Kentucky Derby Museum's mission to share the fun of the Kentucky Derby experience all year long. So saddle up and start cooking, Kentucky Derby style!